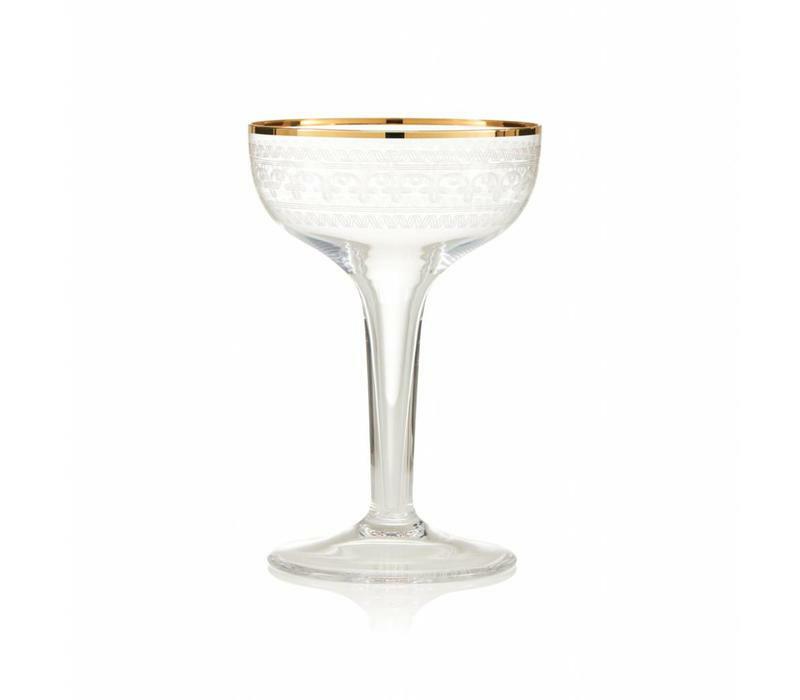 A beautiful, engraved champagne saucer with a delicate decoration. 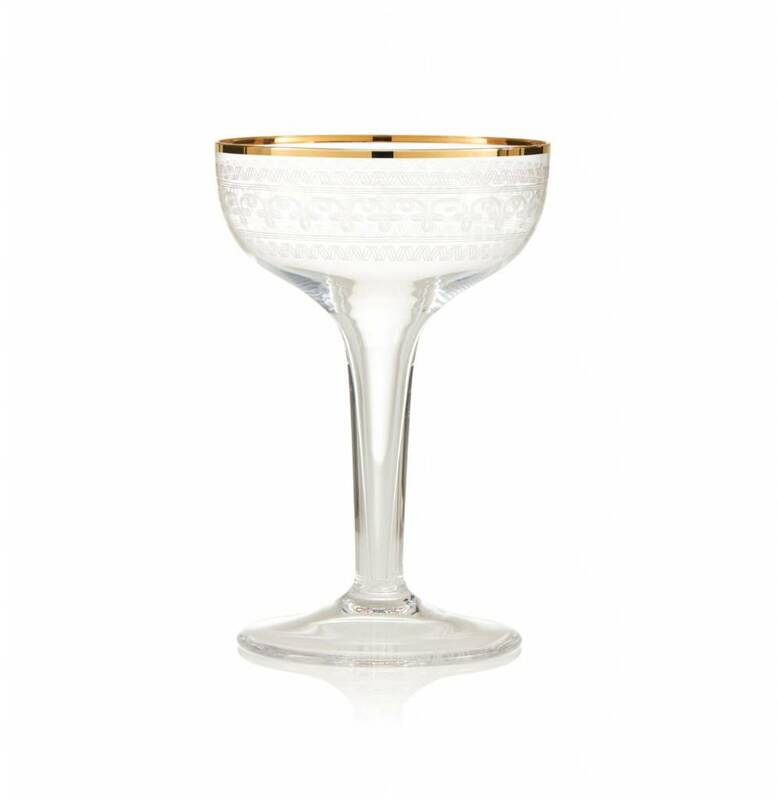 This lead- free crystal champagne coupe, was inspired by the 19th century English glass found by the designer at the leading antique market. 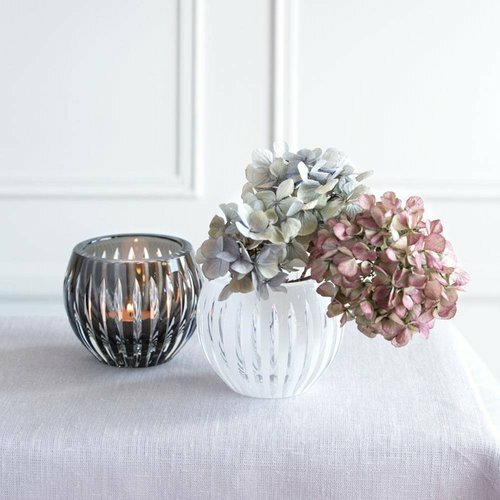 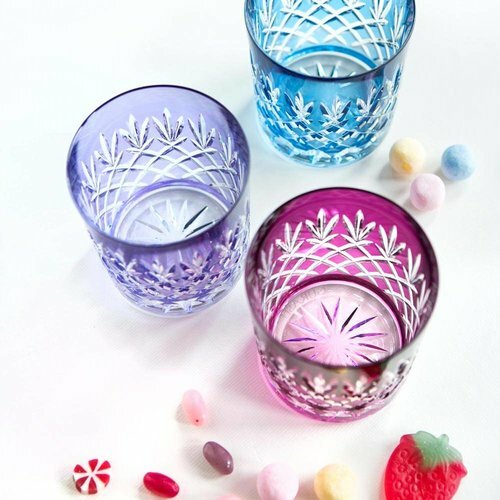 Each coupe has been hand-blown, engraved and decorated with a very delicate gold rim. 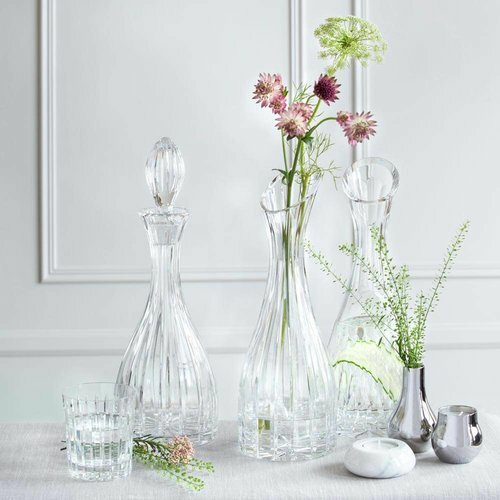 Each glass is meticulously blown to the perfection by the best glassblowers in the Czech Republic. 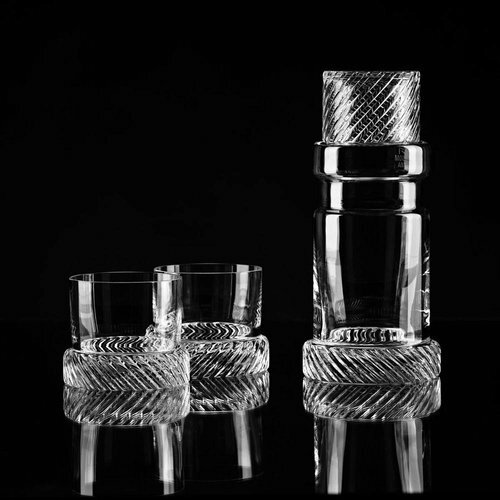 To achieve this unique, hollow stem requires the most advanced skills in glass blowing. 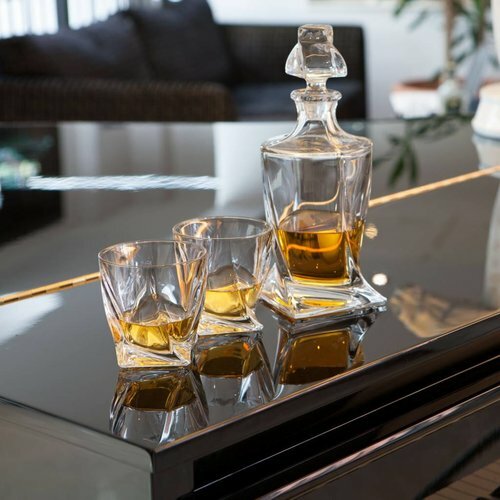 Each glass is the piece of treasure.